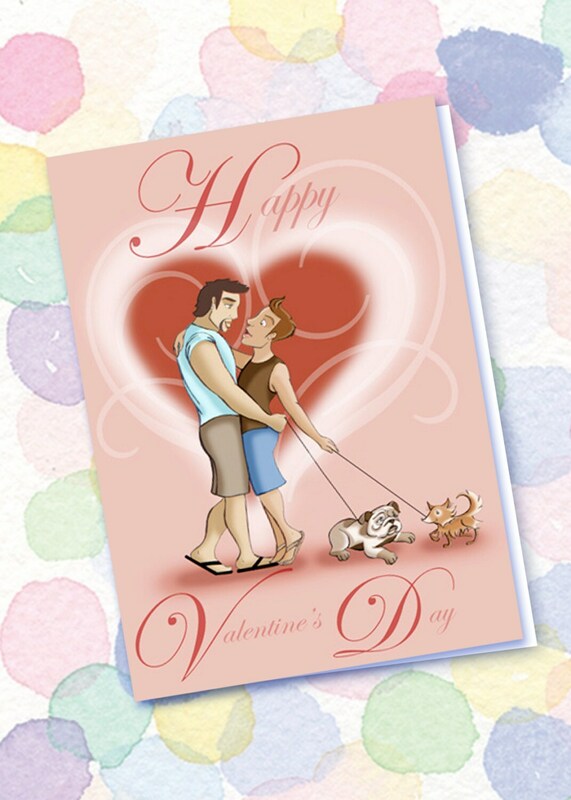 This handmade Valentine card features a handsome couple bumping into each other over the love of their dogs. I always love his cards. So perfect. The art is fantastic.